The 2018 Bermuda Fitted Dinghy Race Season got underway in the St. George’s Harbour, with racing hosted by the St. George’s Dinghy & Sports Club. 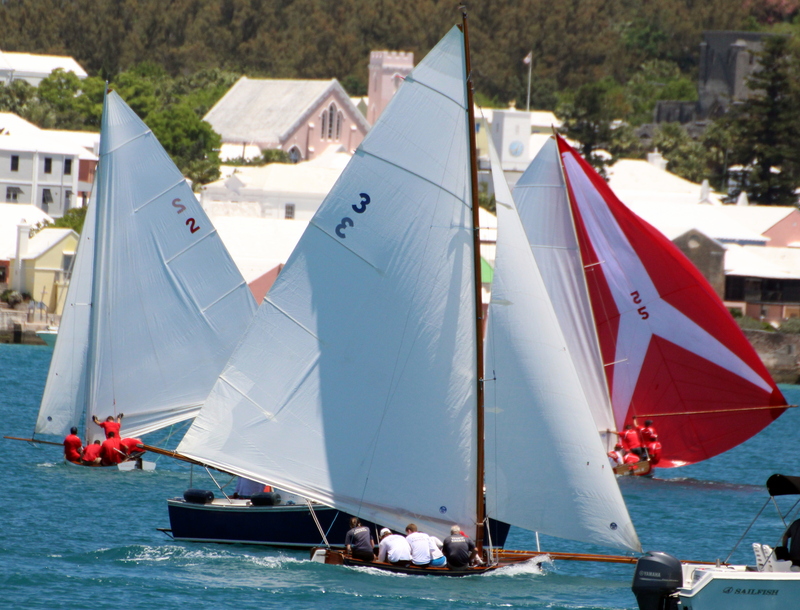 Bermuda Fitted Dinghy Racing, is an inter-club activity, fought between the Royal Bermuda Yacht Club (RBYC), the Royal Hamilton Amateur Dinghy Club (RHADC), the St. George’s Dinghy and Sports Club and Sandys Boat Club. Elizabeth II out of the Royal Hamilton Amateur Dinghy Club came away with two wins on the day, they would win the opening race of the day the Heritage Trophy race and the second race of the day the Anniversary Cup race, while Challenger II out of the Sandy's Boat Club won the third race of the day winning the Leon D. Fox Cup race.